Have you spotted the Narrow Notecards and Envelopes in the Occasions Catalogue? They are on page 19, and pretty easy to miss! I'm glad I found them, because I have been going through a ton of them. They are the perfect size for a little gift card and are quick and easy to decorate. 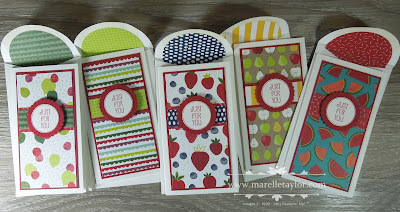 Here, I've used the Tutti-Frutti Designer Series Paper Stack and just a couple of punches to decorate them. 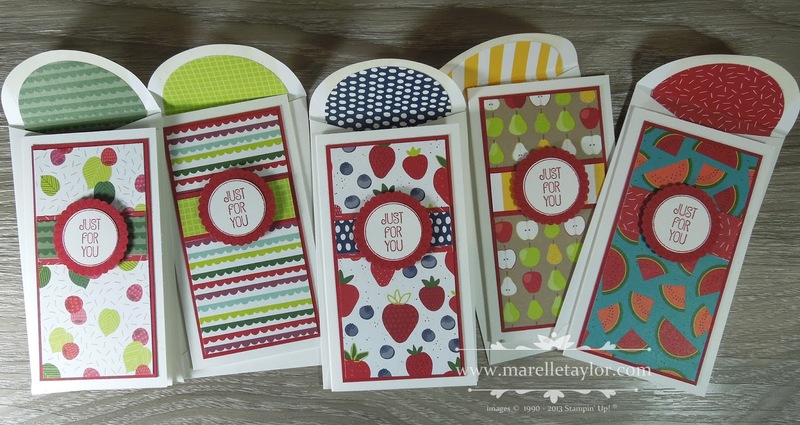 The 2-1/4" Circle Punch makes the perfect envelope 'liner' for these sweet little cards.